NONRESISTANCE IS A KEY WAY to handle smoothly the acceleration of spiritual energies bombarding the planet during these Latter Days, a breakthrough cycle of transmutation prior to the Second Coming and our entrance into the Aquarian Age. Nonresistance, as a code, was triggered in my mind while reading various communications through Nada-Yolanda from the fall of 1968, published in our textbook MAPP* to Aquarius: *Mark Age Period & Program. It struck me as uncanny to see how the information that was channeled by the Hierarchy many years ago fits perfectly with guidelines we should apply in our current cycle of planetary acceleration. For so much has already been channeled in the past that explains what we are going through and what we should look for. Further inspiration also came to me in a couple of contacts with my master teacher, St. Germain (otherwise known to us as Dr. Hannibal of the space phase). He has shown me how to apply nonresistance in order to work successfully with the Sixth Ray of Transmutation, so as to ease the stresses and strains of accepting the new energy frequencies. 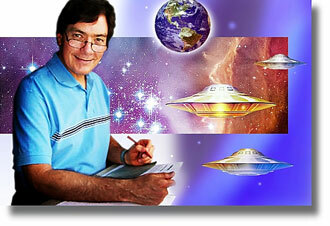 “I am here to project energies today. With them you will notice a decided change in the body frequency. Because of this change in the body frequency, you will be allowed to know of many new things in consciousness that you have not been prepared to face or to experience until this present time. I have come at this time in order that you be prepared in advance for the changes that must come to the entire Earth planet. We see the time is very short for this synchronization of one level of consciousness with a higher level of consciousness. In order to allow this to be done, we must come and accelerate it in advance to the changeover that is immediately beforehand for this planet and the entire solar system. “You will be contacted therefore, each one in this unit and connected with this circle, to produce a new rate of vibration in both your Earth vessel and your astral counterpart. I am going to work through the spiritual consciousness or the I Am presence within each one in order to effect this. It is because it is done with the highest forces in imagination and via spiritual intunement that you will notice the subtle and very obvious parts of your being and nature accelerated, changed, transmuted and thoroughly cleansed and purified. “This has to begin immediately and shall cause certain distasteful reactions, because it is not always easy to accelerate this type of energy projection without some of the distasteful side effects. None of them will be disastrous, I trust. But that more or less is going to be up to the individuals involved, because if resistance is presented then the projection of higher energy causes a very dire or disastrous effect. . . . But let us bring our discussion point-blank back to nonresistance. We are talking about not resisting the spiritual energies that are everywhere flooding ourselves and the planet, translating us into the fourth dimensional frequency. This acceleration of change, first of all, is being guided and monitored by the etheric and celestial guardians of our planet, and by our own I Am Selves, who are in complete synchronization with the hierarchal plan. The changes that are manifesting, therefore, are for the highest possible spiritual advancement both of ourselves and of the entire planet. Naturally, this involves the Sixth Ray of Transmutation, Cleansing and Purification. Individually and collectively, we are being stretched to bring about spiritual changes as quickly as possible, so that our body frequencies, as well as the planetary frequency itself, can be translated into a more harmonious expression with the rest of the solar system as it enters the New Age. The anchoring of our light bodies through our soul and personality vehicles is accelerating to a higher degree than ever before. 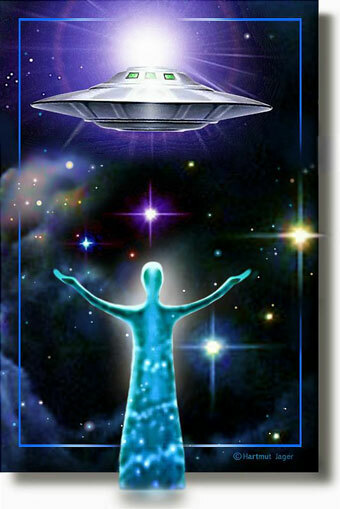 The current cycle requires that this demonstration become more manifest on the Earth plane. The mass consciousness must be quickly raised to a new vibration in order to receive the next phase of the Second Coming operation. 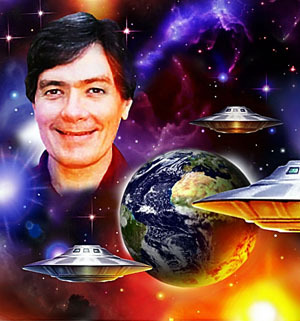 This raising of frequency on Earth is the mission of the 144,000 light workers, who must demonstrate the light body to a highly coordinated degree before Sananda/Jesus the Christ returns. The Hierarchy, in fact, is issuing a new call to action. Our purified vessels, operating as channels or broadcasting units of light, are needed by those in the higher planes to effect a more dramatic and exacting transmutation upon the whole planet. Now, what does this mean to each of us personally in the network of light? Let me give you an example. Two months ago, during a contact with Dr. Hannibal, he impressed me with this thought: my I Am Self henceforth would begin to intervene more aggressively into the third dimension. Thus, I was put on alert to expect extraordinary changes to come in my consciousness, for my I Am Self planned to override more effectively, or to make its expression more predominate over, my four lower bodies. I suspected from that moment that my spiritual mission was being shifted into a new phase of operation. And I welcomed it! Well, this is exactly what has occurred, and the changes are continuing. But has it been entirely smooth sailing? No. Why not? Because coming into a new cycle of light-body anchoring requires more changes in each of the four lower bodies: mental, emotional, soul-astral, and physical. 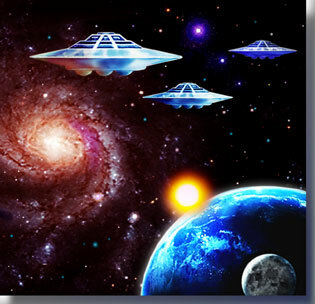 They have to be raised into a greater alignment with the light body, so the light body can express itself onto this dimension without causing tremendous shock and disturbance. This anchoring is being processed in each one of you, too. All of us are being challenged to allow the I Am Self to become more effective through us. So, how do we cooperate with these changes in our four lower bodies, so that we aren’t bowled over by them? One way is the way of nonresistance. Do not resist the changes your I Am Self is prodding you to accept, but surrender to the control of your I Am Self. If you resist at any of the four lower levels, then you will have to deal with the consequences you yourself set into motion. 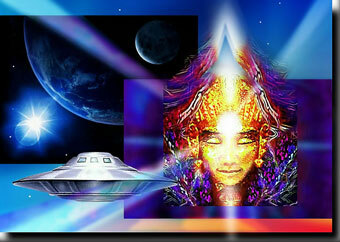 Remember, your I Am is divine love in action, and only wants what is best for your and the planet’s evolvement. It does not want you to suffer through mortal pains of transmutation. It would rather you attune yourself to the exquisitely balanced and loving Sixth Ray energy, the violet flame, so that your transmutation becomes a smooth and natural transformation process, a harmonious movement or translation from one energy frequency to the next. Transmutation and cleansing should not be viewed as a rough or jarring movement, as if you are being wrenched out of one level and shoved into the next. Rather, see it as a frictionless action, whereby at the perfect moment of quintessential balance you glide effortlessly into the next level of spiritual expression. 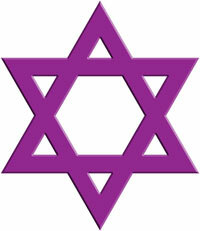 Think of the Star of David, which is the symbol of the Sixth Ray. The inverted triangle, representing the descending energy of Spirit, interlocks perfectly and in complete equilateral balance with the ascending energy of man. At the precise moment of absolute equipoise, the transmutation movement occurs. It is not forced, but is naturally engaged by the Spirit within. Transmutation, therefore, is not an action of resistance, it is an action of surrender. It is the way of nonresistance to change and transformation. So, in our meditations, let us tune in to our high Selves and to St. Germain, Chohan of the Sixth Ray, and enter the way of nonresistance to our light-body anchoring. Spend some moments concentrating on each of your four lower bodies, and surrender each one to the action of your I Am Self. Where you find mental resistance, let it go. Where you find emotional resistance, let it go. Where you find soul resistance, let it go. Where you find physical resistance, let it go. And let God, in His supreme and loving action of change, transform you into the Christ you are. So be it. Revised from Mark-Age Meditations audio broadcast #356A, released in January 1986. “The violet flame is an all-consuming fire which is not hot. It is comfortable. It is desirable to be in it. Deliberately rise into the I Am state of consciousness. 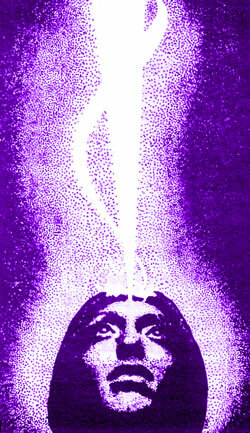 Then visualize a violet flame at least two feet in front of the physical body. Place yourself in it with a sense of joy and expectancy; knowing it cannot harm, but only can help spiritually. From the third eye, look before you at your own aura. See it also encased by this beautiful flame of nonburning fire. Remember, the aura is the envelope around the physical body, and comprises all mental, emotional and soul-psychic patterns. It not only surrounds the physical sac but it influences all of its functions. “Visualize all levels of your being as cleansed in this violet flame. If there is any condition, person or situation limiting full I Am Self externalization, renounce its connections to your body and auric envelope. Burn off the ties that bind you to mortal ways and thinking and which prevent the fullness of the I Am Self from expressing. One by one, and in different meditation sessions, place into the violet flame friends, relatives, soul patterns, limiting codes and philosophies, troubling dreams, memories of past failures. Burn off all threads impeding your progress. Properly motivated and activated this way, the violet flame harms no one, nothing. But it sets you free. “Feelings and emotions, ideas and customs, associations and relationships, physical limitations and errors are eliminated, renounced, denied. They disappear. This is your rightful duty, one of the twelve characteristics of the I Am Self. “According to the results that manifest in your life and affairs, you are able to discern for yourself just how successful you are in flexing that function of the I Am Self. But if you should fall short of the mark, repeat the visualization with the violet flame of transmutation. Photos: (1) Phillel the cosmic editor, 2007, Mark-Age Archives (courtesy of Hartmut Jager.) (2) Hieronic Projections © by Hartmut Jager. (3) Light Being (with NASA image) © by Hartmut Jager. 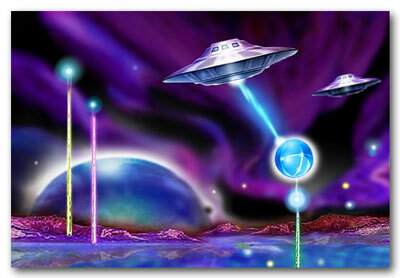 (4) Space Explorers © by Hartmut Jager. (5) Friends of Earth © by Hartmut Jager. (6) Transcendence (colorized) by Gerry Libonati, Mark-Age Archives.